Despite the "veto" reference .. Alliance victory renews the nomination of Abbadi for "second term"
Thread: Despite the "veto" reference .. Alliance victory renews the nomination of Abbadi for "second term"
MP Nada Shaker Jawdat confirmed on Wednesday that her bloc is still sticking to the nomination of the leader of the coalition, Prime Minister Haider al-Abbadi, for the post of prime minister, while the reference confirmed the refusal to take over the leaders of previous governments to take over the new government in reference to Abadi and Maliki. 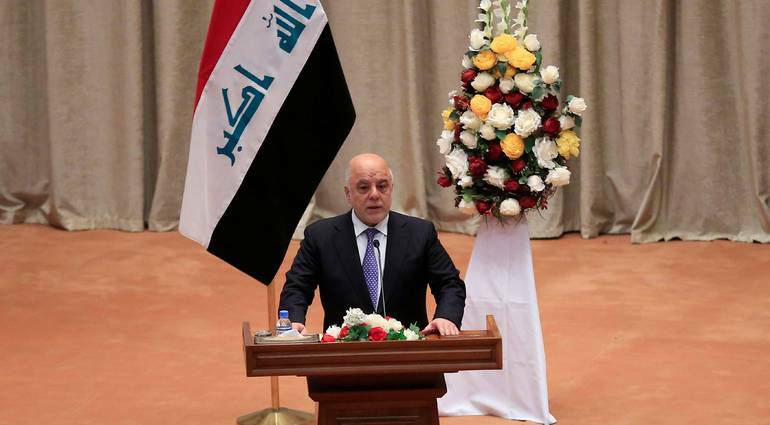 The MP said in a press statement that the coalition of "victory" still adheres to the candidacy of Abadi to head the government, butpointed out that "the matter has not yet been discussed within the Alliance for Reform and Reconstruction, which also includes blocks of decision and wisdom and patriotism and others, and each party may announce the name of its candidate for discussion" , According to the newspaper "Life". Jawdat explained that "the statements made by deputies of the Al-Fath and others on the rejection of the second mandate of Abadi, was to express sympathy for the recent incidents in Basra and there is no official position so far," denying reports that the alliance of victory with the followers of Muqtada al-Sadr, despite convergence The latter with the alliance "conquest" to search for "compromise candidate" to head the government. The MP expected the coalition "victory" that "announce the largest coalition to form the next government after the merger of pivotal reform and opening in a single block beginning next week, without waiting for the decision of the Federal Court on naming the largest bloc."